Get your munch on with these appetizers. 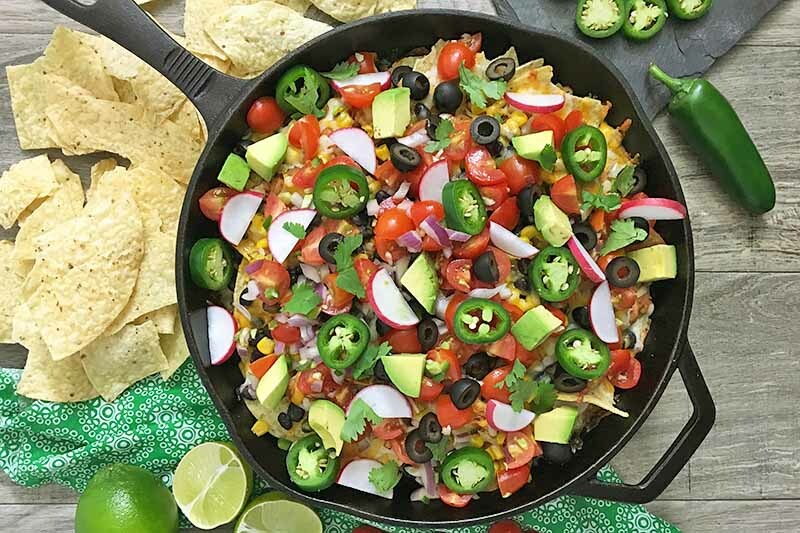 Our team here at Foodal has laid on the best recipes for dips, chicken wings, spreads, finger foods, and more. Perfect for your next house party, BBQ, or get-together. Be the perfect host or surprise the office crew with these delectable treats below. 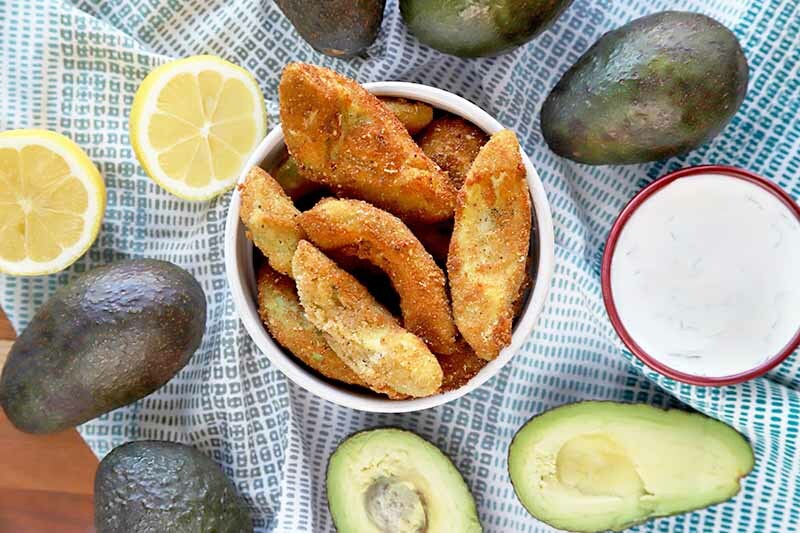 You can feel a little healthier about getting your fry fix when you whip up a batch of these batter-dipped avocado fries. Instead of using potatoes, the protein-packed produce gives you a hefty dose of tasty flavor. You can feel a little better about your snacking habits with this recipe. Read more now on Foodal. Get ready for the next big thing in handheld deliciousness. 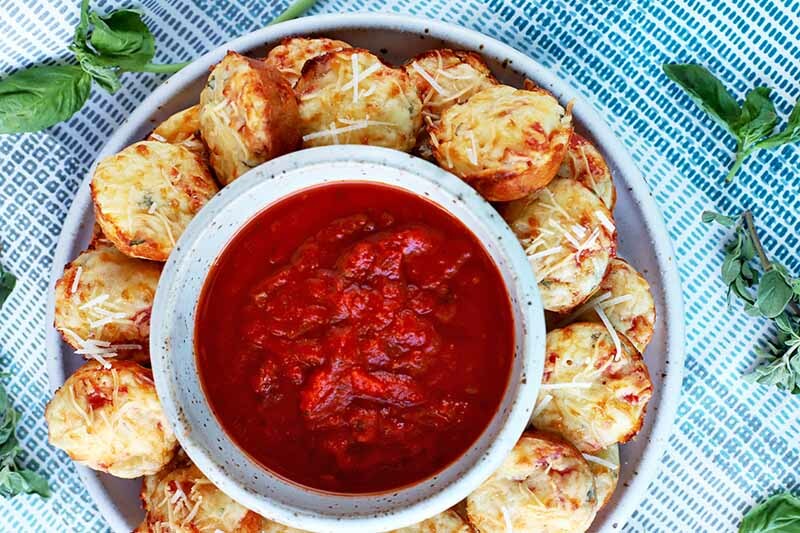 Mini pizza bites are the poppable homemade mouthful that satisfies your pepperoni pizza craving. The ideal party snack, you’ll love the explosive flavor that’s on offer here. Ready in just over 30 minutes and oh-so-cheesy, you can get the recipe now on Foodal. 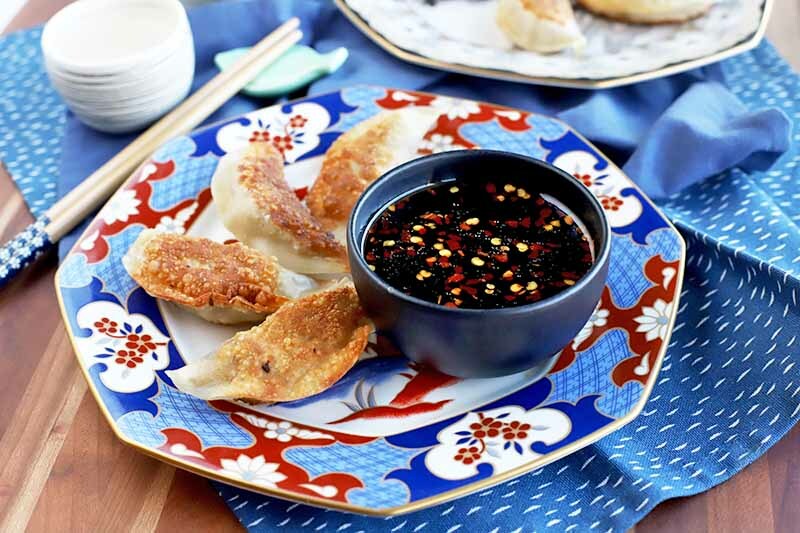 There’s no need to order takeout to get your appetizer fix – make pan-fried chicken pot stickers in your own kitchen instead! With premade wonton wrappers and a simple poultry and vegetable filling, they’re easy to prepare, and sesame oil brings a depth of flavor to the crispy exterior that you can’t get anywhere else. 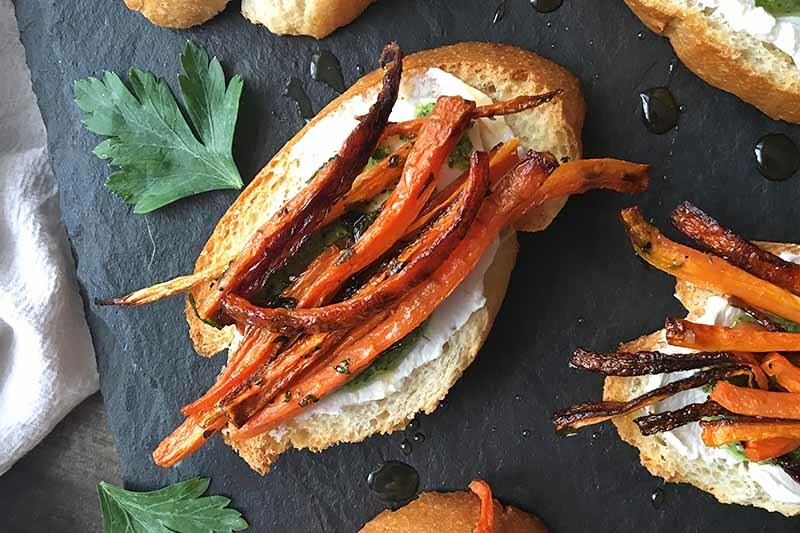 These unique tartines are simple to assemble for your next party: toasted bread, soft chevre, pesto, roasted carrots, a little maple syrup, and chopped fresh parsley. They’re hard not to love, from the crunchy base of the toast to all the ingredients piled on top. Learn how to make the recipe now on Foodal. 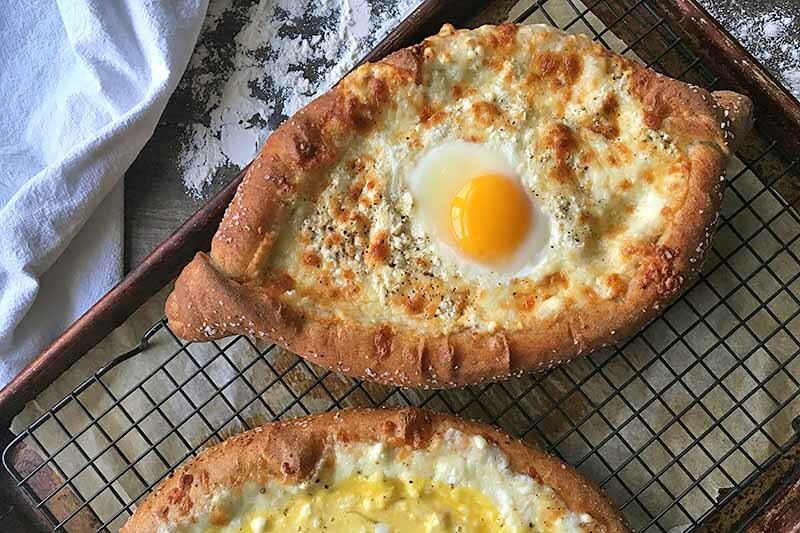 Khachapuri, a cheesy bread recipe, is a popular dish from the country of Georgia that’s shared and eaten by hand. A combination of cheeses bakes on top of a fluffy yeasted dough. Right before serving, a barely cooked egg is mixed right in. It’s fun, indulgent, and delicious. Learn how to make it now on Foodal. 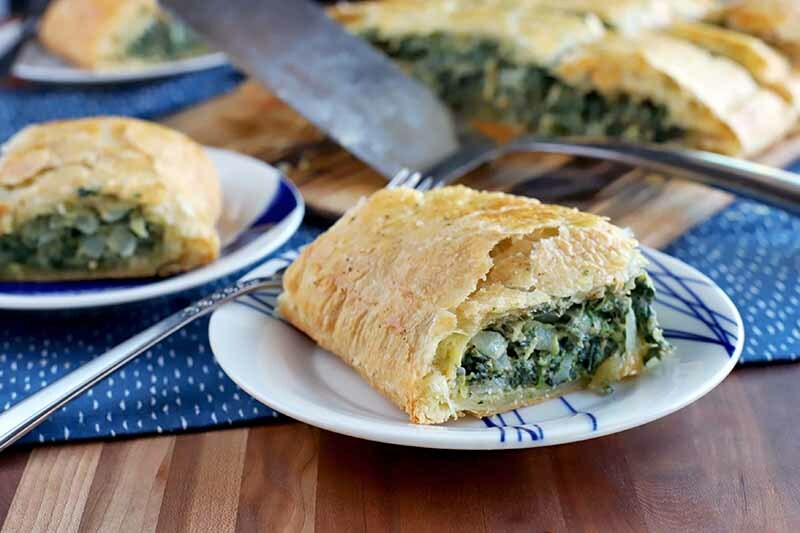 If you need a classy meal to truly wow a small crowd, the best spinach in puff pastry is here to save the day! A flaky, golden brown crust envelopes a rich and hearty filling that packs in the flavor and the vegetables in one tasty punch. Serve it for lunch or a light dinner with a side of soup. Get the recipe now. Fun appetizers are the life of the party. Sharing a big plate of finger food keeps everyone entertained (and your bellies happily satisfied) before the main course. 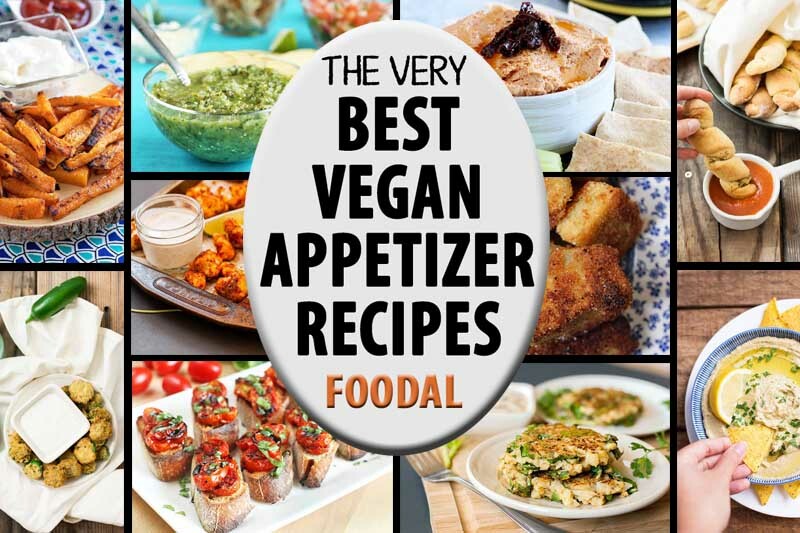 Foodal’s tasty collection of vegan appetizers uses the freshest of ingredients in creative ways to pique the palate. Get all of the recipes now on Foodal. 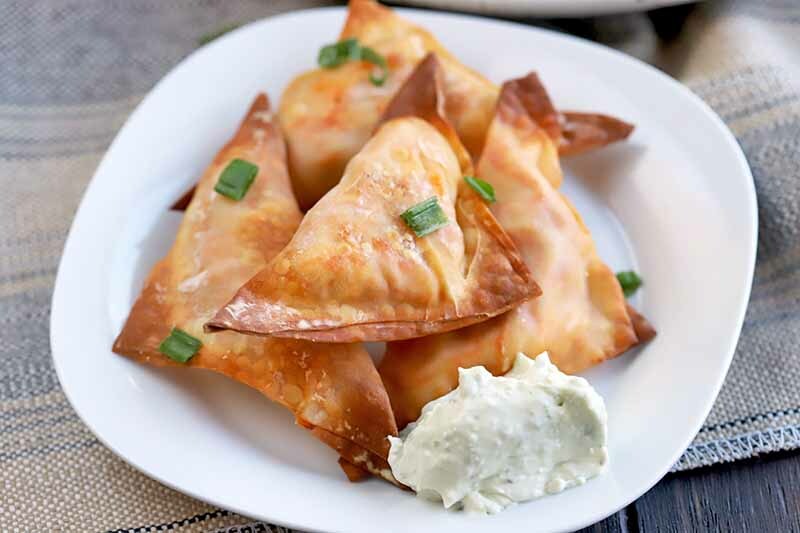 Need an easy appetizer that will become your go-to for parties? 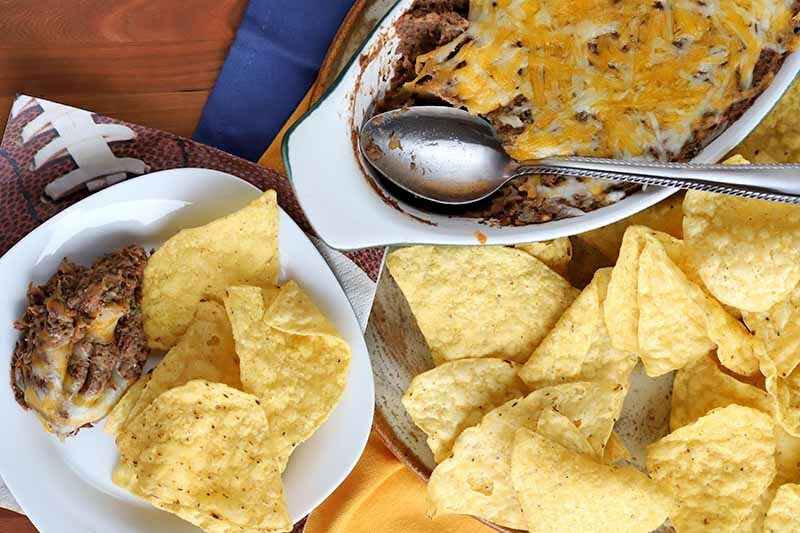 Look no further than our hearty and spicy Black Bean Jalapeno Dip, with a tangy hint of lime. It’s a kick in the taste buds that’s so easy to make for your guests. They’re practically guaranteed to rave about it! Get the recipe now on Foodal. There’s no need to make wings when you have crispy Buffalo chicken bites with blue cheese dip on your plate. 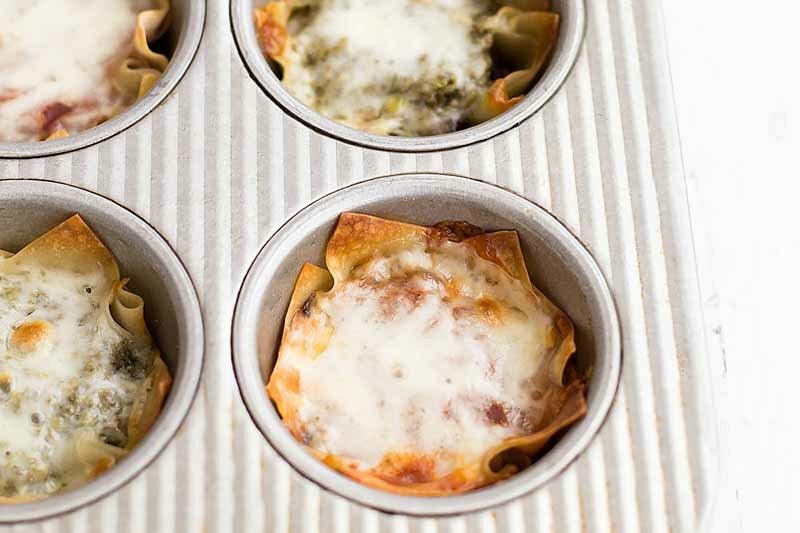 The baked wonton bites are filled with a spicy, meaty interior that gets dipped in a creamy sauce so you feel like you are eating wings, without the mess. All in all, it’s the ideal snack. Get the recipe now. When it comes to spuds, you need something that will stand out in a crowd, like our potato wedges with buffalo blue cheese dip. 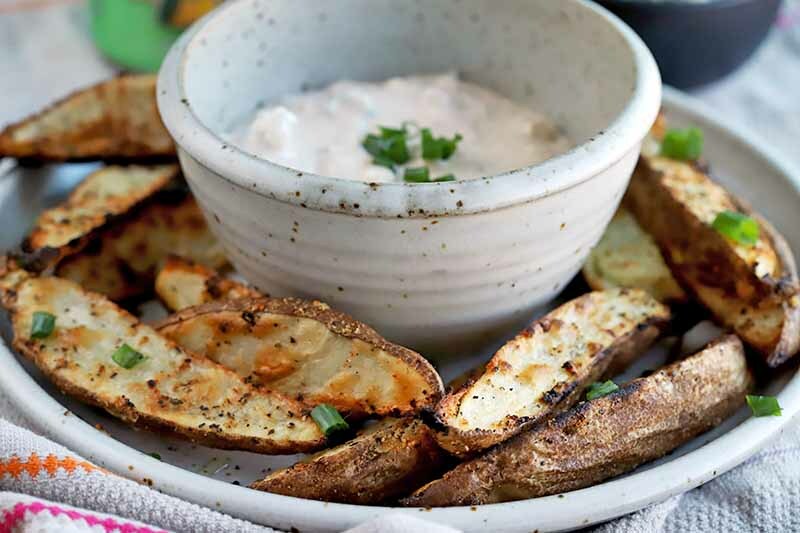 Kissed by the grill, the lowly potato gets a serious upgrade when it’s served alongside a creamy, tangy, and spicy dip. These go with anything you want to serve up on game day. Read more now.